We are open Monday to Saturday with a choice of appointment only and drop in surgeries. Read the results of our recent patient survey. The doctors and staff at Deepcar Medical Centre are proud to offer the highest standard of patient-centred healthcare. We run many clinics for the management of chronic diseases such as asthma and diabetes and offer a wide variety of other medical services including antenatal and postnatal care, minor surgery, childhood vaccinations and well-person check ups. In addition to everything you need to know about the practice you will also find a wealth of health-related information in the menu. Download the NHS guides to choose the right service if you or your child become ill or injured. Which service is best for my child? Please take the time to read this leaflet from the Health & Social Care Information Centre (HSCIC) which explains the choices you have on how information about you is stored and shared. From 1st June 2016 we will be operating an all Appointment System there will be NO walk in surgeries. NHS England have set up the care.data programme to enable them to extract information from your medical records with a view to using this data to help plan health and social care in England. The data will be extracted and linked to your NHS number, date of birth, gender and your postcode, but not your name. This will then be stored in a database at the Health and Social Care Information Centre. IT IS IMPORTANT TO NOTE THAT IF YOU DO NOT WANT YOUR INFORMATION TO BE SHARED IN THIS WAY YOU MUST CONTACT THE SURGERY TO OPT OUT. 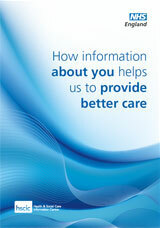 Please see our leaflet or follow the link for more details www.nhs.uk/caredata. We offer a wide range of clinics and services from asthma clinics to warfarin monitoring. Click here to view all our clinics and services. Have you checked out our Health Advice section? You can view advice on a variety of common illnesses that will help you determine whether or not you need to see a doctor. If it is deemed appropriate , you may be offered an appointment at one of our Satellite Hubs across Sheffield. Satellite Hubs opening times: 6pm-10pm weekdays and 10am-6pm weekends.